Just want to introduce myself. 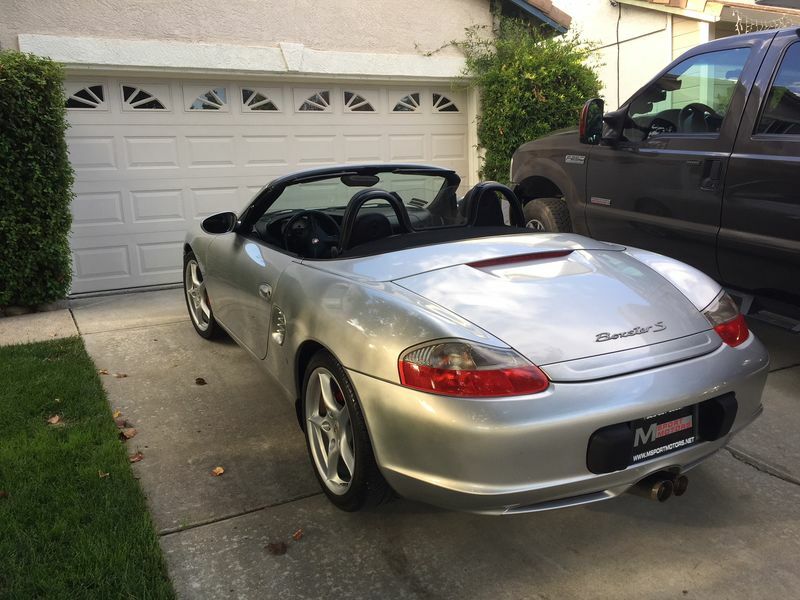 I am the proud new owner of a 2003 Boxster S. Silver with black interior, 78,000 miles, 6spd. Looks, and drives great. It has an aftermarket exhaust, and I am having a hard time figuring out what system it is. The tips are single wall, and welded together and are angled slightly up, and the mufflers are round and about 11" long. I'm sure I will have lots of questions in the coming days and weeks since this is my first Porsche! I didn't know the S had a different spoiler than the non S, looks great! The spoiler for the S and non S are the same for any given year. They changed for 03 & 04 and are different than the 02's and earlier. The only other difference would be if you had a full aero package which changes the rear deck substantially.